Without a doubt, there is no other neighborhood in Manhattan right now that polarizes New Yorkers like the Meatpacking District. Fashionistas and those with money flock to it, tourists put it on their must-see list when visiting town, and locals shun it like the plague. Times Square may evoke similar love/hate feelings but the Crossroads of the World hasn’t changed a whole lot since the last of the “Times Towers” were completed in the middle of the last decade. The area where 9 Ave. dissolves into a jumble of cobblestone-laden rues is another story altogether. 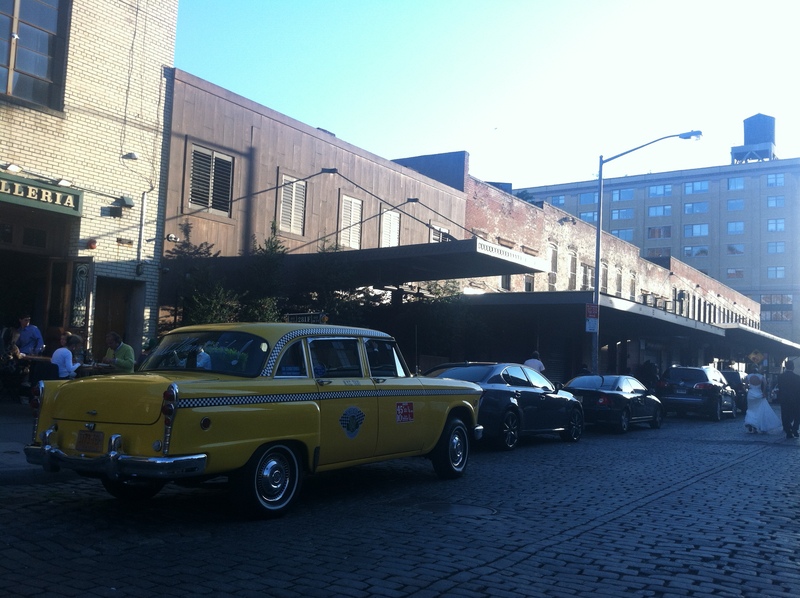 At one time, Meatpacking was a moniker that the neighborhood deserved. Old-style loft buildings with loading docks were home to processing plants that handled much of the beef that the Big Apple consumed. So many trucks rumbled through the streets that the highway and rail line that ran through the West Side were elevated to avoid the numerous grade-crossing conflicts that arose each day. No one wanted to live, work, or eat in an open-air slaughterhouse that was the east coast’s version of The Jungle and the only signs of life at night were those of the LGBT persuasion that roamed the streets looking to turn tricks. Like so many instances of my youth, one of my biggest regrets was that I was not able to photograph the area when I first made my way through it alone in the mid-90’s. What would have shown up on the images were old buildings long past their prime, a giant Western Beef depot, empty streets, an occasional rumbling truck, and the old diners that served those who held the blue-collar jobs that were rapidly fading from the cityscape. It was a wonderland for those intrepid enough to make the trek down there, but not terribly exciting for those looking to pass the day in the neighborhood. Nothing could be further from the truth now. Like so much of New York, Postindustrialization has taken root there and flourished to the point where the mere mentioning of the neighborhood in conversation now elicits snickers. 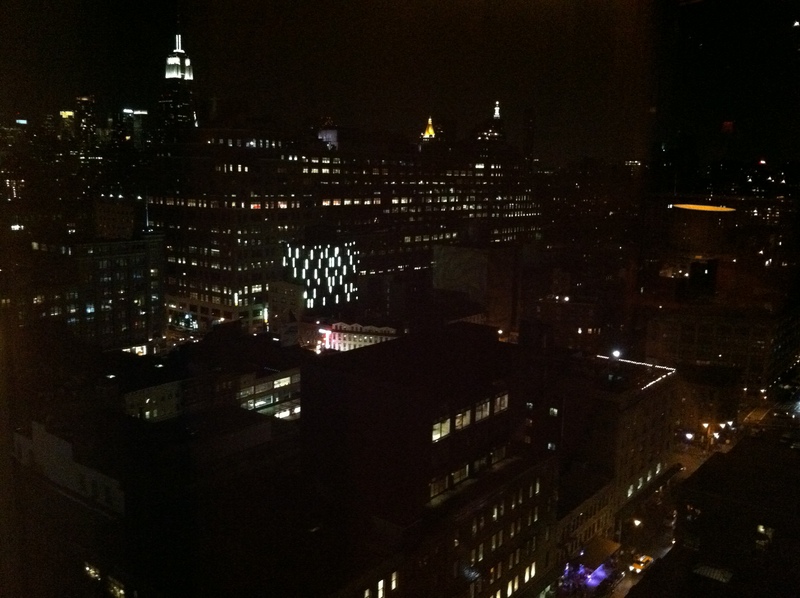 At the heart of this lies none other than Ganesvoort Street and while it’s not terribly long when it comes to venues on the Manhattan Street grid, it is the epitome of the infrastructural change and stasis that characterizes Gotham today. Both ends of it were sites of massive projects that altered the lives of nearly every New Yorker with the east end block off for a Water Tunnel #3 shaft and the west end the site of the collapse that spelled the untimely end of the West Side Highway. In between are much of the things that characterize the district as we know it today: The construction of the new Whitney Museum, the shuttered remains of Florent, the clubs all in a row, and a cobblestone street to link them all together. None of the buildings were in the same state 10 years ago and it’s anyone’s guess what they’ll be a decade from now but given how high rents are climbing, it’s unlikely that the stasis will take effect and turn the neighborhood into a living museum that will serve as a reminder of how the uber-rich partied in the late 2000’s and ’10’s. 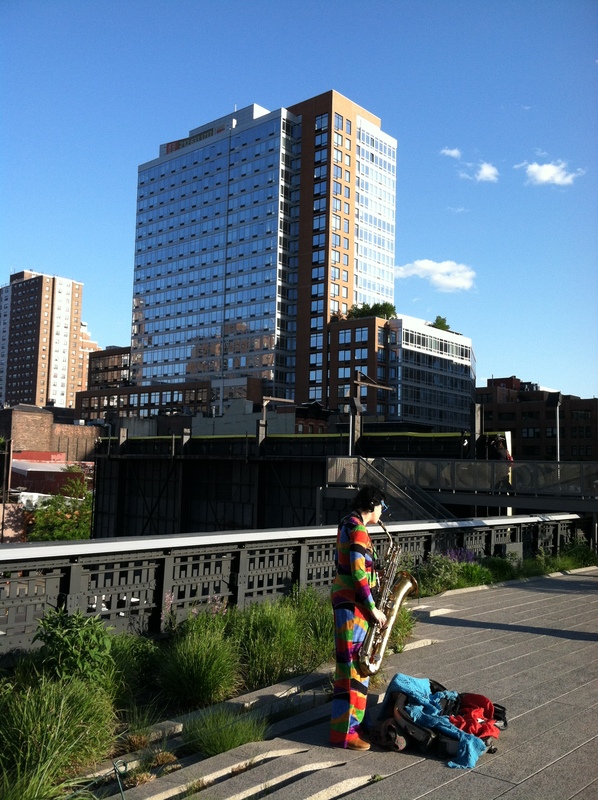 In the middle of this runs the highly-praised High Line, which many have lauded as the catalyst for the neighborhood. While the change would have taken place with or without it, it has been a gigantic draw for locals, tourists, and architects alike. 30 years after the last trainload of frozen turkeys rumbled on it, it was reborn as an Urban Park modeled after one in Paris, for the enjoyment of all. What many New Yorkers are unaware of is that it used to continue south of its current terminus, having been quietly torn down years before the remaining section was reborn as an elevated promenade. Like the Highway a block to the west, decay had taken its toll in a era where destruction was the conventional wisdom. Today, the thought of eliminating a right-of-way that valuable would be met with outcry, if for no other reason than preserving it as a transit route in a city that desperately needs more. Whether the High Line was reused properly will be the subject of debate far into the future but one thing for sure is that it has been a success, largely due to the integration into the buildings and streetscape of Far West Side and not the avoidance of it like in its previous incarnation. As some retailers move out and other areas of the city that are cheap continue to gentrify, the Meatpacking District may see a day where it’s not a “hot spot” anymore. Given how many times I drop off and pick up down there, I don’t see that happening anytime soon. Much of the city’s next hotel boom will oddly be on the Lower East Side and if zoning was ever changed, that could be fashionista central within a few years. Even the old Essex Street Trolley Terminal under Delancey Street could be reinvented as the “Low Line” – the next urban relic reinvented for a city that glorifies and commodifies the past, in the form of public-private partnerships. For now, that remains to be seen whether the trendiness of the West Side will migrate eat and reinvent a neighborhood that bridges Hipsterville with the rest of Manhattan. The woman I was with that night is no longer in my life but just like out time on top of the Standard, I’ll cherish our time together. It’s always nice to reminisce, even if I’m not meant to live the high life right now.